In this scenario we have a custom field on the Opportunity Form called: All Items Complete. This is a locked field with a default value of No. 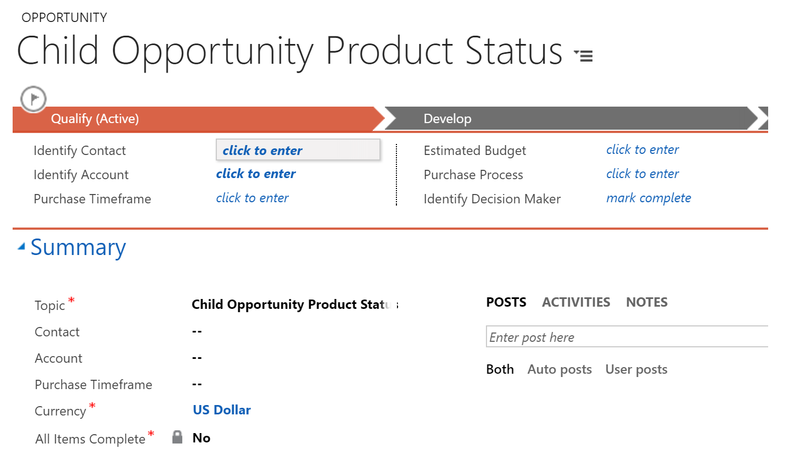 The business rule should update this field on the Parent Opportunity to Yes only when all child Opportunity Products are set to a Status of Complete. 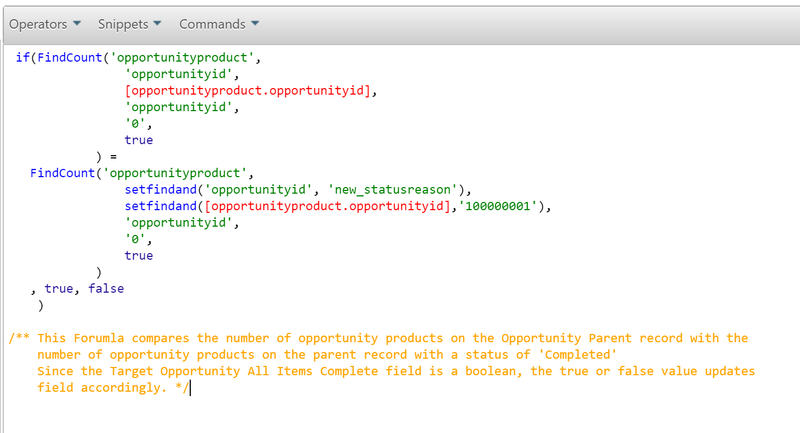 It is configured so that it executes each time the Status Reason field changes on the Opportunity Product entity. Finally it compares the counts, if the numeric values are the same then we know all the child records are Completed. If true the All Items Complete field on the Parent Opportunity record is set to Yes. 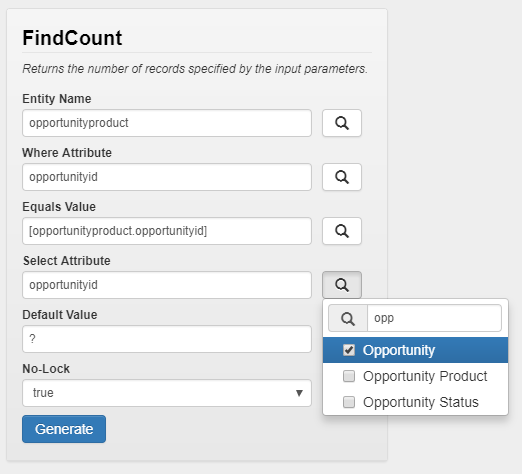 Note to find the value for Equals Value, you will need to go to the Source tab and search for "opportunity"